Once again, Summerlicious has dragged us out of our regular haunts to try something new. Usually my Chef Aunt and I send a few suggestions back and forth....not this year. She said. 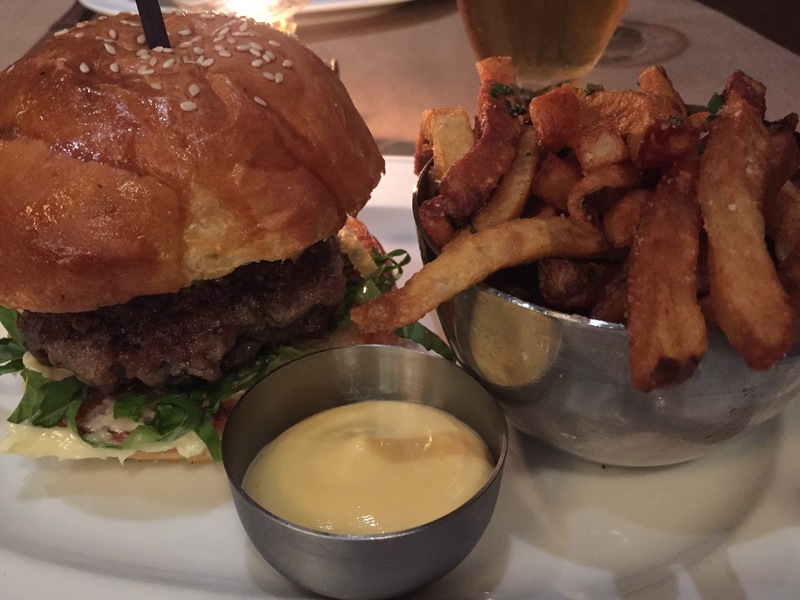 'We're going to Maple Leaf Tavern; their cheeseburger will change your life.' Who can argue with that? Easy to find, across the street from Gerrard Square(free parking, yay! ), it stood out in this neighbourhood. Located in an older part of town, Maple Leaf's bold exterior catches your eye. The dark wood covering the front, goes right through the interior creating a luxurious, yet still pub-like atmosphere. The kitchen is completely open, so you can even sit at the counter to watch all of the action. Even though it was a full house, the Chef and kitchen staff all appeared calm and focused. 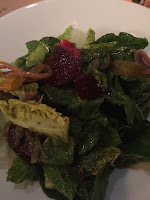 The first course started with salads, I had the Little Gem Salad and my Chef Aunt chose the Caesar Salad. She has been there before, so she knew it was a mean salad. 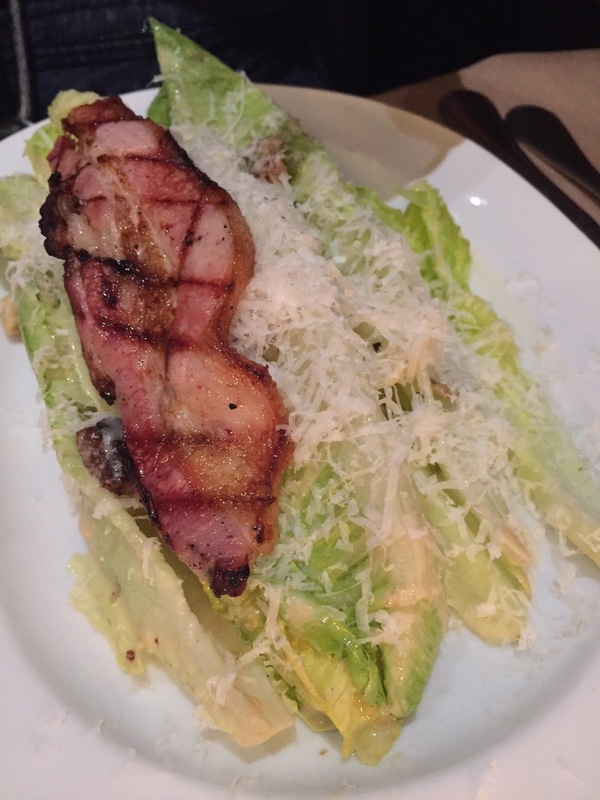 Large romaine leaves tossed in anchovy dressing, sprinkled with parm and topped with a slice of grilled bacon. It tasted as good as it looked! My Little Gem salad had large leaves with a variety of picked veggies. So tasty! The main course was the whole reason we went there: MLT Cheeseburger. My Aunt said everything is made in house, from the bun to the grounding of the beef. This IS a life changing burger! The beef was cooked medium and was juicy and bursting with flavour. The cheese and bun were on point. My favourite part was the housemade relish. If I had this at home, I'd never put ketchup on a burger again! Like my Aunt said, it's good because they don't mess with it. It's not processed or imported; farm-to-table is clearly the way to go! After all of that deliciousness, we kept dessert simple...ice cream and sorbet. The service was phenomenal. Jeremy knew his stuff and the way he described beer and wine was perfection. We were both pleased with his suggestions. Great beer and wine selection too!